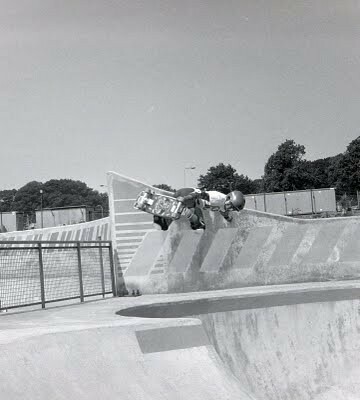 Livingston skate park in Livingston, Scotland. This was our first trip to Europe. created by a Brazilian skater named Eduardo. Get your 3D specs on and check out a very fresh looking Livi and a Young Cab.